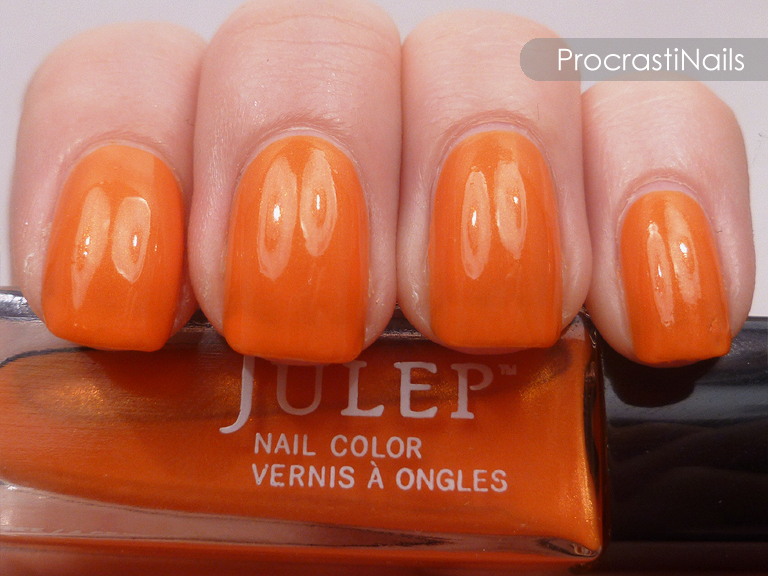 Here's the second half of my Julep mail for this month! Earlier I showed you the gorgeous colours that came in the Champagne Trio and today we have the base colours I got in my box. 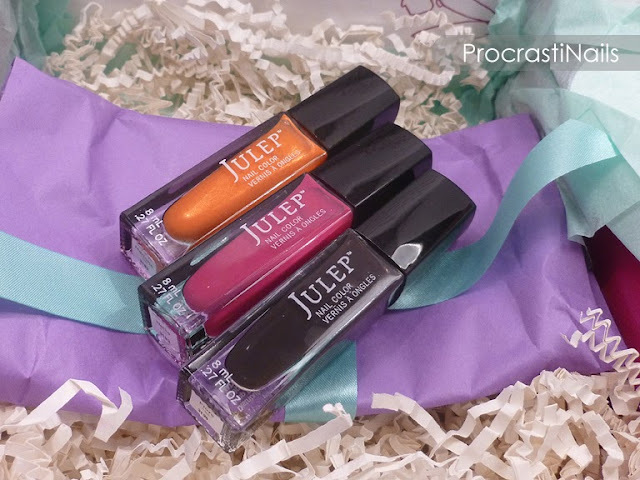 Say hello to Julep Marjorie, Julep Nellie and Julep Fiore! 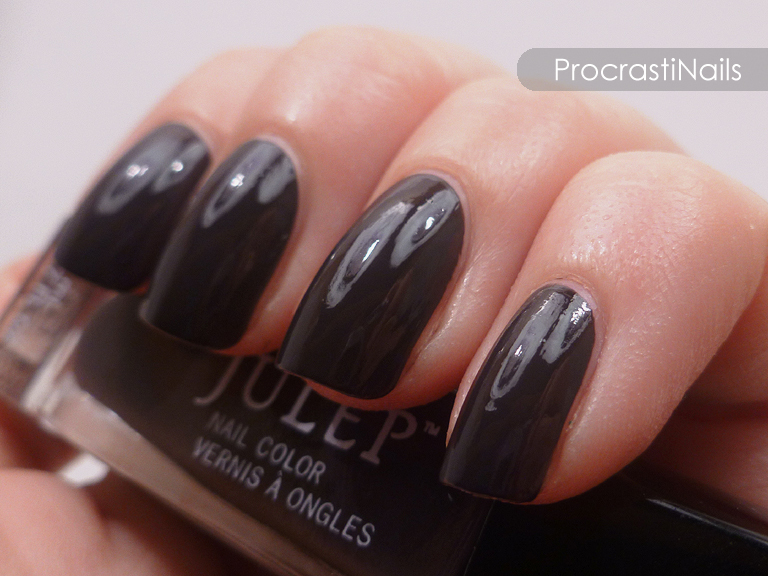 Julep was flawless in their presentation this month. The box itself was extra-jazzy with an announcement that they were turning 2 on the lid and gorgeous flowers printed all over the inside of the box. They really worked their theme this month! Both the quote and the extra gift were flower-themed to go with the overall collection which was The Garden Party Collection. 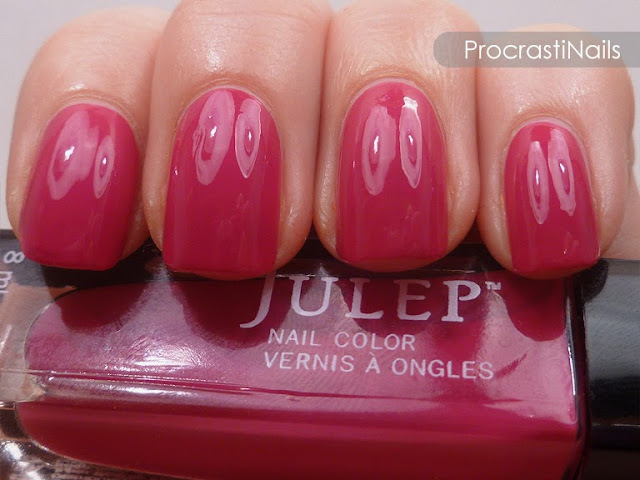 Julep Nellie is described as a "pink fuschia crème" and that's exactly what it is. It went on lovely with two coats (no topcoat), and in fact was 99.99% opaque after just one coat. I put a second one on just to make sure it wouldn't change the colour. As always my camera has a dislike for pinks, so this shade is actually a slightly deeper raspberry in real life. 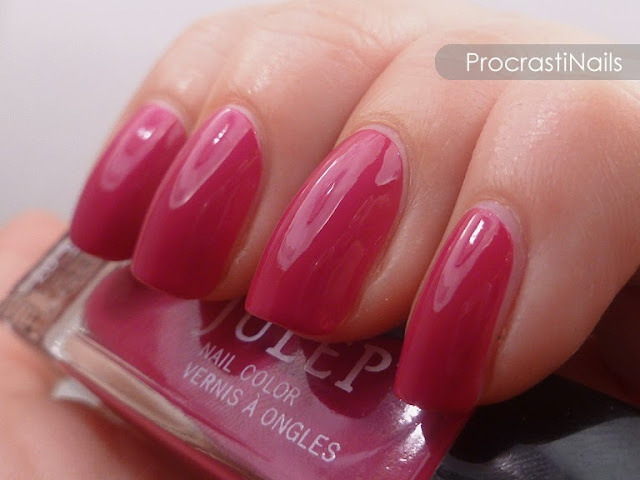 Either way it's a gorgeous colour, and I will certainly be using it again! 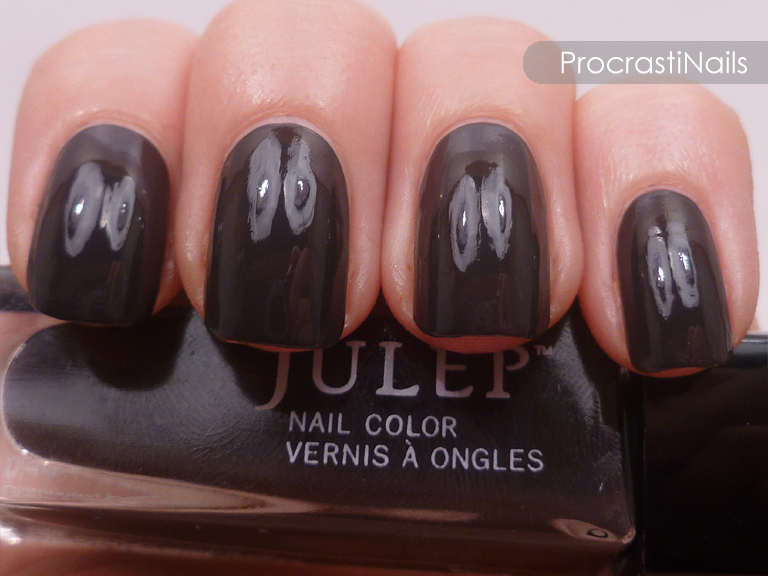 Even though it looks like it's black, Julep Fiore is actually a dark smokey brown. It's described as an "espresso brown crème" and it is my favourite colour from this set. Fiore went on beautifully, though it did need two coats as with only one coat it was very streaky. It's a warm, solid colour that I just know is going to be perfect for fall. 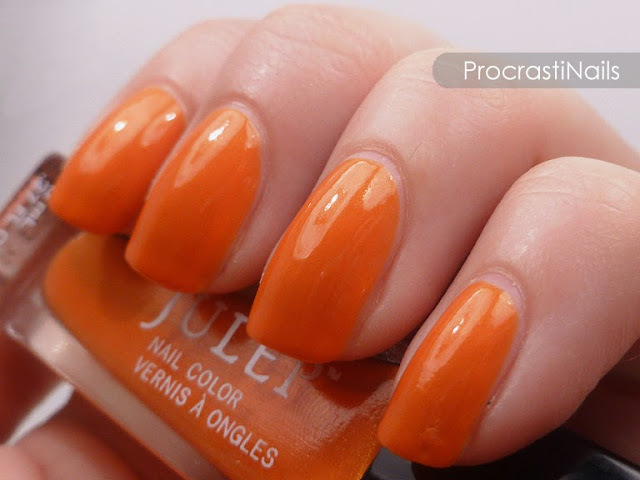 I may also use this shade instead of black as my contrasting colour in a few future designs. So, what do you think. Any colours you wish you'd picked up? Or that you plan to get in the future? Let me know! I love the Fiore! 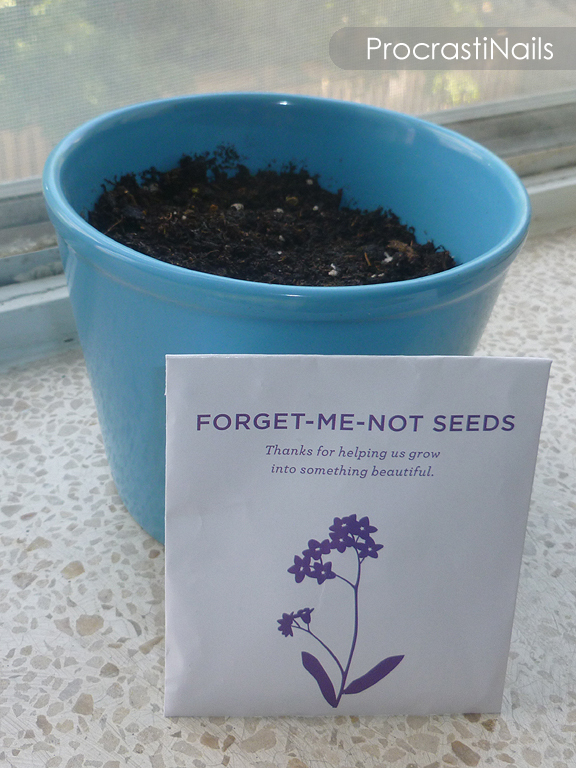 Haha, I tried to grow forget-me-nots a few years ago and completely failed, hopefully you'll have more success! My favorite has to be Marjorie and Fiore (: The colors are great! Success! Rimmel London Cartoon Nails! Zoya Aurora and Polka Dot Bow Mani~!